The Army sergeant who abandoned his post in Afghanistan and was held by the Taliban for five years has been charged with desertion and misbehavior before the enemy, according to several reports. Army officials cited by AP confirmed that the charges against Bergdahl include “misbehavior before the enemy,” under Article 99 of the Uniform Code of Military Justice. He is also being charged with desertion under Article 85, his lawyer Eugene Fidell told The Hill. Official charges against Bergdahl under Article 85 and Article 99 were announced Wednesday afternoon by US Army spokesman Col. Daniel King. If found guilty, Bergdahl may face dishonorable discharge, forfeiture of rank and pay, and imprisonment ranging from five years to life. Bergdahl went missing from the US army base in Afghanistan’s Paktika province in June 2009. He was captured and reportedly held in Pakistan, until he was ransomed and exchanged for five men detained in Guantanamo Bay in May 2014. 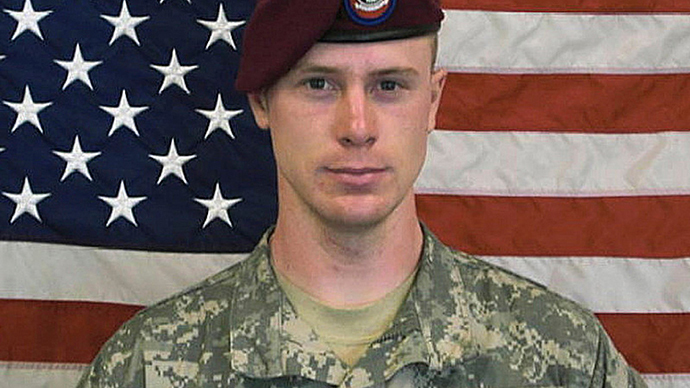 Since his repatriation in June 2014, Bergdahl has been assigned to administrative duties at Fort Sam Houston in Texas. According to Fidell, Bergdahl is scheduled to appear before a military court in San Antonio on April 22. Members of his battalion have claimed Berghdal had talked openly about leaving the Army prior to his disappearance, and were convinced he had willingly deserted. According to some, no fewer than six US troops died in the three weeks after Bergdahl’s disappearance as a result of search efforts aimed at recovering him. Five Guantanamo detainees released in exchange for Berghdal include Mullah Mohammad Fazl, former Taliban chief of staff; Mullah Norullah Noori, a close associate of Taliban supreme commander Mullah Omar; former Taliban deputy intelligence chief Abdul Haq Wasiq; and senior Taliban officials Khirullah Said Wali Khairkhwa and Muhammad Nabi. A number of prominent Republicans have condemned the trade, claiming the White House paid a “ransom” to the Taliban. Defense officials have explained the payment as a reward given for the intelligence that led to Berghdal’s release.